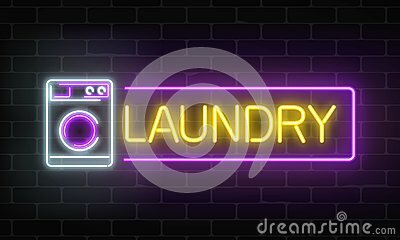 Glowing neon laundry signboard on dark brick wall background. Illuminated self-service washhouse sign working round-the-clock. Vector illustration. Neon image of a shield with a cross. Composition of round colored balls on a black background.